◇ adv.2000 yen inc 1drink! / door.2300 yen inc 1drink! 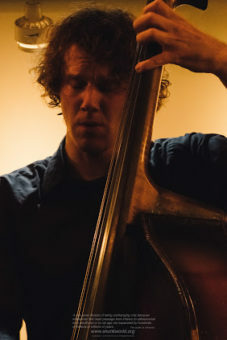 “The elastic but forceful rhythms laid out by bassist David Moss—a key figure in the circle of musicians in the 577 Records stable, prevent the music from sounding old fashioned, eschewing bop buoyancy for a more muscular grooveology.”–Downbeat Magazine, Special 2010 Winter Edition, album release review for the band: SEARCH. 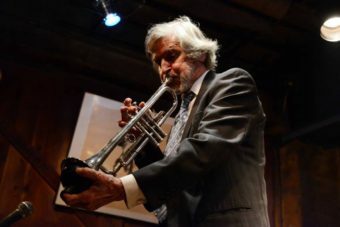 “Fluently applying reverberant pizzicato form, Moss bridges the delivery from one horn to the other, carves out introductions on which the instruments can depend (“Breathe”) and operates as hinge to each instrument’s sound”–All About Jazz Magazine album release review for the band: SEARCH, summer 2009. WAKE UP! is a genuine band (rare these days), but even more than a band, it’s a movement for increasing consciousness–a movement primarily interested in evoking the evolution of consciousness in us all, through SOUND and beyond. The members of WAKE UP! all knew each other from previous music collaborations, but it wasn’t until May, 2009 that Federico Ughi, Demian Richardson, David Moss and Daniel Carter started getting together regularly as a quartet, which eventually became WAKE UP! Musically, the band demonstrates a huge spectrum of influences, and integrates and synthesizes an array of styles, while not being limited or stuck in any one style or genre. 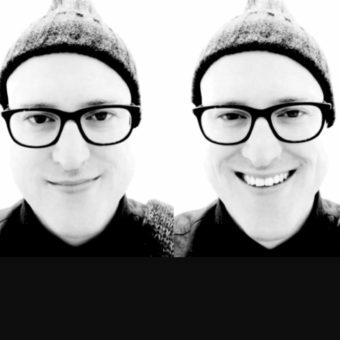 “With a debut self-titled album (out now), WAKE UP! are riding a wave of youthful enthusiasm every bit as boisterous and impatient as their name.”– Daniel Spicer, WIRE magazine article. Dong-Hee Lee is a Korean double bassist and composer. He studied jazz improvisation at Paekche Institute Of The Arts . A formative experience for him was when he was travelling as a eighteen year old in the United States and was able to sit in on two months of classes at Berklee College of Music. There he studied in intensive workshops with renowned professors, such as drummer Antonio Sanchez, bassist Dave Holland, bassist Abraham LaBoriel, pianist Kenny Werner, and Whitney Houston’s longtime pianist, Jetro Da Silva. Pianist Im In Gun, who was part of the first generation of jazz musicians in Korea, invited Dong-hee back to Jeju Island after his stint in the army. In Jeju, Dong-hee entered Im In Gun’s nascent jazz community, which was made up of legendary Korean musicians. Later he created his own community of bohemian experimental artist friends, and with them he discovered his love for nature, travel, and performance. 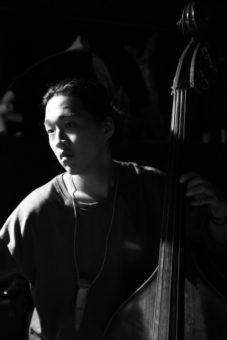 Dong-Hee has performed throughout Korea and in many other countries, such as China, Japan, Taiwan, Thailand, Laos, Vietnam, and the United States, not an easy feat considering the leviathan size of his wooden double bass. 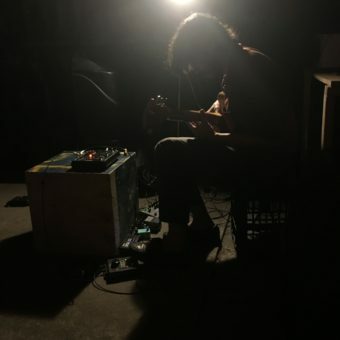 He does solo and collaborative experimental improvisation, and has learned to play along with virtually any musical style. Currently, he has been inspired by his time in the Korean military. He was stationed at the DMZ (demillitarized zone) and the Northern Limit Line for about 2 years, which gave him the opportunity to learn the true significance of the dislocation between the two Koreas. He hopes for reunification of Korea some day and dreams of returning to his ancestral land to establish an eco peace village with the underlying mission to unite not only the Korean peninsula, but also Korea with its outlying neighbors through art and education. I was born in Uruapan Michoacán in the lap of a creative family: my mother is plastic artist, my father poet and my sister and I, we are multidisciplinary artists. My main concern is art and nature. Originally I studied the University of Biology focused on mycobiotechnology. My studies and learnings in art are generated by my needing to communicate with myself, my relationships and the world in which I am integrated, without going through any dance institution but I did private teachers, friends and personal research. I am currently Cía. Águila Haikú (Dance GDL) for which we have created the audio including a Kú-Fung stage music project (Música GDL). Collaborate Cía. 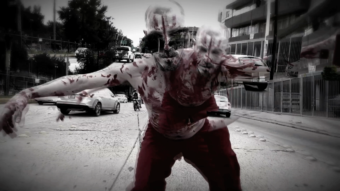 The Resistance (Teatro-Danza CDMX), I have created independent shows and with the support of governmental institutions, I have participated in National and International festivals. Currently I visualize my work focusing on mycoBiotechnology and Butoh Dance, integrating other skills such as music, skating, improvisation, agriculture, among others. Always open to share and learn.